It’s all in the wrist, so the saying goes. Our wrists are a highly-functioning part of the body and essential for so many common tasks like writing, typing, eating, dressing, and driving. They also support our entire bodies and are the foundation for a good grip when exercising in the gym. If your wrist gives out though, or you suffer from common pain as a result of your workout, what can you do? Long-held planks, repetitive push-ups, and things like bench presses put a lot of pressure on the wrist joint and may cause painful tendonitis, or a more serious injury like a break or fracture. Make sure you have proper form when doing an exercise that involves weight bearing down on your wrist, and also consider wearing a supportive wrist guard or athletic tape to absorb some of the pressure. Apply ice to wrists to ease swelling. Massage wrists and forearm muscles, just above the wrists. Perform a few quick flexing stretches of the wrist and forearm to release tension: bend the wrist up while keeping the arm and elbow straight, hold for a few seconds, then reverse the motion by bending them down. Roll, squeeze, or spread silly putty through your fingers as sort of a cool-down to relax the wrist muscles, or lightly squeeze a stress or tennis ball for a few minutes. Take an anti-inflammatory over-the-counter pain reliever as needed. 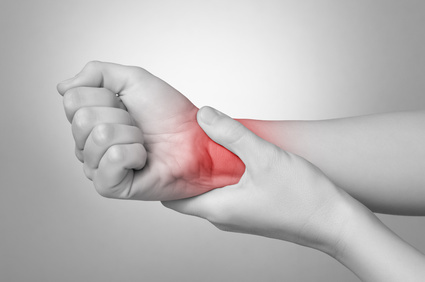 Please contact us for an appointment if your wrist pain is sharp or severe or lasts more than two weeks. Keep up with Texas Orthopedics news by following us on Facebook and Twitter (@Texas Orthopedic). Flipping burgers and fireworks with friends and family are what the Fourth of July is all about. It is also unfortunately one of the busiest days of the year in the ER. A record number of people land there with burns and other severe injuries from fireworks, grilling mishaps, or accidents by the pool. Always wear eye protection when lighting fireworks, and keep a supply of water or a fire extinguisher close by. 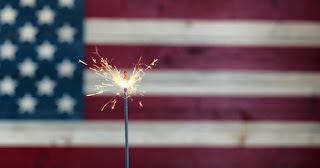 Never aim fireworks directly at people, animals, vehicles, structures, or flammable materials. Only light one firework at a time, and toss a ‘dud’ into water if it doesn’t work the first time. Consider leaving the fireworks to the experts, and attend a professional display instead. Check out one of these fireworks celebrations around town. When grilling, always make sure the grill is supervised at all times, and watch out for children playing in close proximity. Use long-handled tools made specifically for grilling rather than regular kitchen utensils to keep a safe distance from the flame. Only add lighter fluid to the grill prior to igniting the flame. Accidents around the pool are also common, especially during large holiday gatherings. Remember that drowning can happen in as little as six inches of water, so do not let children swim unattended. Also, remind everyone to walk on the pool deck to avoid slipping, and never dive into shallow water. Have a safe and happy Fourth of July from Texas Orthopedics! Every hour in this country, 50 kids land in the emergency room due to broken bones/fractures or head injuries from bike, scooter, skateboard, or hoverboard accidents (Safe Kids Worldwide). And experts say that number could actually increase with the official start of summer. Their reasoning here is two-fold. First, more kids are outside playing now that they are not in school. And secondly, the hotter temperatures could make a child’s body more prone to injury. In Central Texas, we have already experienced a few triple digit days. This excessive heat could quickly lead to dehydration and exhaustion in a kiddo, ultimately weakening their strength and resilience and causing them to slip, trip, or fall when playing hard. A child’s young system is not as efficient yet as an adult’s in terms of sweating and perspiration which cools you down, so as they get hot, much of that heat gets trapped inside their little bodies. This can cause muscles and bones to break down a bit and not function as well. In addition, kids aren’t always vigilant in remembering to hydrate and drink a ton of water throughout the day. Stopping for a sip of water may be frowned upon if they are in the midst of a super fun game or bike ride. Encourage water breaks every 20 minutes while playing outside. Set a timer if you have to. Offer them fruits and veggies with a high-water content for snacks. Good options include watermelon, peaches, berries, cucumbers, and carrots. 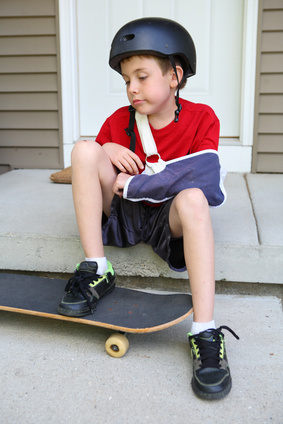 Texas Orthopedics reminds parents that physical protection is paramount too, especially when playing on something with wheels … bikes, scooters, skateboards, and hoverboards. Children should wear properly fitting helmets at all times. And consider adding protective elbow and knee pads if they are heading out on rough terrain. Bike safety should be top of mind for everyone here in Austin, whether you are the one cycling or not. With daylight hours extended during the summertime, car drivers are guaranteed to see bikers around the clock--everywhere from quiet side streets to the most high-traffic thoroughfares. Car/cyclist accidents happen far too often in this town, resulting in serious injuries such as fractures and broken bones, sprains and strains, concussions, and bumps, bruises, and cuts, or worse. While we’d like to think that drivers are always keeping an eye out for bikers and willing to share the road, that is not always the case. Protect your head (i.e. your brain! 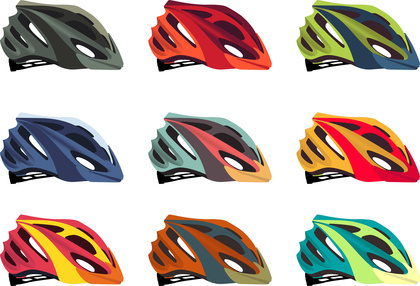 ), and wear a securely fitting bike helmet. Check the condition of your bike frequently, noting if tires are flat and brakes are working properly. Wear brightly colored (neon) clothing and also reflective gear, both day and night, to be sure you are visible to others. Keep both hands steadily on handlebars at all times, and always transport items in a separate backpack, or bike basket. Watch out for road hazards such a puddles, potholes, gravel, and broken glass. Follow the correct flow of traffic, and obey all traffic signs, signals, and lane markings as if you were in a car. Take caution when turning, and always look both left and right to be certain that the coast is clear. Steer away from parked cars, as you never know when a door could unexpectedly open or the driver could dangerously pull out right in front or to the side of you. Running and a healthy back may seem like an unlikely pair. The high impact intensity of pounding the hard pavement feels like it could really do a number on your spine, causing disc and vertebrae misalignment, and generally making your back feel out of whack. But new research shows the opposite may be true. Running could actually be good for back health. A recent study published in the journal Scientific Reports evaluated the link between disc health and exercise/movement. They found that people who run or walk (at a brisk pace) regularly have healthier discs in their backs than those who do not exercise at all. Discs in between the vertebrae of the spine are filled with fluid that absorbs pressure during movement. The more movement your body experiences, the more that fluid builds up and creates a comfortable cushion between vertebrae preventing back pain and tightness. Less movement means less fluid and flatter, deflated discs. The study examined 79 men and women and assigned them to the following groups: long-distance runners, moderate runners, and those who rarely ran or exercised at all. Participants’ spines were scanned with a specialized MRI system that measured the size and liquidity of each disc. Runners’ discs were larger and full of more fluid than those who did not run or exercise. There was no difference in disc size between the long-distance and moderate runners. Walking at a brisk pace also contributed to more fluid-filled discs. The results are encouraging for those who regularly run or walk as they may be at less risk for constant back pain as they grow older. The study cautions though that people should not take up running just in an attempt to treat an already existing back condition. 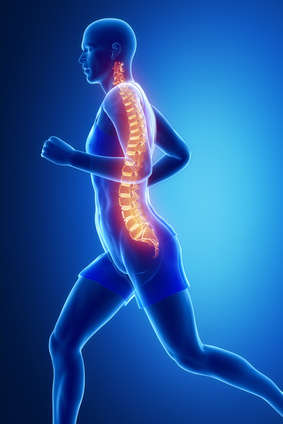 If you experience any frequent back pain, please contact us for an appointment with one of our specialists. There’s no better time to load up on Vitamin D than right now. 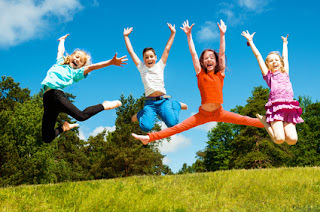 Summer sunshine is a great source of this important vitamin essential for good bone health. 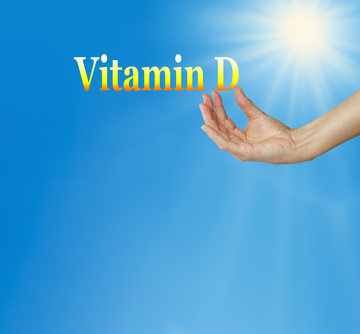 Many Americans, especially those over age 60, aren’t getting enough Vitamin D. This can lead to a serious deficiency which may contribute to the weakening of bones and damaging conditions like arthritis and osteoporosis, both of which we treat frequently here at Texas Orthopedics. The Institute of Medicine recommends 600 IUs daily if you are 60 years or younger, and 800 IUs per day if you are over 70 years old. Most fresh fatty fishes, as well as canned varieties, are a great source of Vitamin D. Good options include salmon, trout, mackerel, tuna, and sardines. 2. Add in some mushrooms. Mushrooms are rich in Vitamin D and the prefect choice for those looking for a plant-based source of this important nutrient. Toss them into salads, pastas, and egg scrambles, or slice and layer them into sandwiches. 3. Say yes to the yolk. The yolk is often overlooked in favor of the more popular egg white. But the yolk is full of Vitamin D and a host of other good-for-you stuff. As it is also high in cholesterol, limit your yolks to one a day, or just a few per week. 4. Pass the OJ please. Orange juice is naturally high in Vitamin C, but many brands now are fortifying this sunshine in a glass with Vitamin D too. Check the label to make sure your favorite has this added bone-boosting benefit. 5. Crunch on some cereal. Cereals are also big on fortifying with extra vitamins and nutrients, like fiber, iron, and yes, Vitamin D. Look for ones that are multi-grain and low in sugar. Snack on a bowl of fortified cereal with a splash of fortified milk, and you’ll be good to go. If you are at risk for arthritis or osteoporosis, or feel like you aren’t getting enough Vitamin D in your diet, please contact us for an appointment to discuss supplements and other options. Vitamin D supplements should be monitored closely by your physician as there is such thing as taking too much of it in pill form. Now that school is out, the risk of kids sitting in front of the TV all summer or zoning out with tablets, phones and gaming devices are likely at an all-time high. and it can be harmful to their growing bodies. The CDC recommends that kids need at least 60 minutes of physical activity each day. At Texas Orthopedics, we strongly encourage people of all ages to adopt a healthy lifestyle with plenty of exercise and physical activity all year long. Register them for a recreational sports league. It could be continuing with a sport they played earlier in the year or trying something totally new. Have your child hit the gym with you, and check out what children's classes or activities they offer. Start your own marathon club, similar to what schools do during the year. Run or walk together all summer to reach 26 miles, and reward them once they've crossed the finish line. Give them regular chores around the house or yard that will have them breaking a sweat... like sweeping, vacuuming, mopping, or mowing the lawn and pulling weeds. Hop in the pool. Swimming is a great whole-body workout. Encourage them to do a few laps in between games of Marco Polo. Combine physical activity with screen time. Search up popular kids' fitness or dance videos online to get them moving. Many of them have points or rewards systems if you log in for a certain number of continuous minutes at a time. Playing sports in the hot sun can be hard on your body, so make sure your child wears sunscreen, a hat, and light protective clothing, and also drinks plenty of water. A high fiber diet has been linked to improved colon and rectal health, reduced cardiovascular disease, and a lower risk for diabetes. Now your morning bran muffin may help fend off certain types of arthritis as well, mainly arthritis of the knee. Knee osteoarthritis is on the rise among the senior population, especially for those who are overweight and leading a sedentary lifestyle. It can unfortunately be very painful and rob you of independence and mobility. 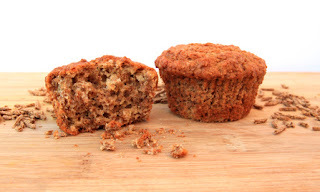 Two new studies published in the Annals of Rheumatic Diseases evaluated fiber intake and its connection to the disease. Among the more than 5,000 study participants, those who increased fiber in their diets, saw a marked decrease in arthritis risk - anywhere from 30 to 60 percent! Why the decrease? Experts say fiber may reduce inflammation throughout the body - a primary cause of arthritis - and also control weight. Fiber helps to naturally eliminate waste and toxins which could potentially lead to the damaging inflammation. The study found that most seniors - ages 65 years and older - do not get enough fiber, averaging only about 15 grams per day. The U.S. FDA recommends approximately 25 to 28 grams daily for adults. Healthful fiber is found in many foods including fresh and dried fruits, vegetables, whole grains, nuts, seeds, and most varieties of beans and legumes. If you feel that you are not getting enough fiber via your diet, talk with your physician about supplements. For any knee pain that is persistent or severe, of if you have questions about your arthritis risk, please contact us for an appointment. Even the most dedicated and conditioned runners struggle under the sweltering summer sun in Central Texas. As temperatures rise to the highest all year, it's important to take a refresher on how to stay well - fresh- cool, and injury-free when going for a summer run. Head out in the early morning or later in the evening - as daylight hours are extending in summer- to avoid running in the direct sunlight. Or take advantage of your gym's indoor track and log your laps in the cool comfort of the A/C! 2. Hydrate ... before, during, and after. Up your fluid intake for a few hours before a long run outside in the sun. A good guide is about eight ounces of water or a sports drink each hour before you run. 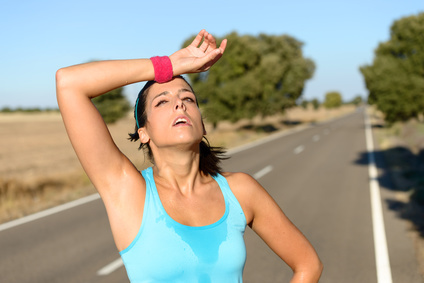 The more hydrated you are before running, the more efficient your perspiration will be at cooling you down. Run with a handheld water bottle or small pouch to sip along your way, and definitely replenish afterwords with plenty of fluids. If you are running during peak sunny hours - say during your lunch break, try to weave in and out of some shady areas and grassy terrain. Grass, or dirt, are cooler to run on than concrete or asphalt which retain heat and radiate it up through your body. 4. Wear your summer whites. Dress in light colored layers to protect skin from the sun and reflect its rays (dark colors absorb the heat). Also opt for breathable, moisture-wicking fabrics. Don't forget a hat and sunscreen - especially on often overlooked areas like ears and the back of your neck. If you ever feel in pain or distress, or have difficulty breathing while running, take a break immediately. Find a shaded bench or curbside to sit down and collect yourself. Walk slowly back to your starting point if you can, and call for help if needed. Running in the heat can also make the body more vulnerable to injuries like sprains and strains, severe cramps, and tendonitis. If you are experiencing any pain as a result of a running injury, please contacts us for an appointment. Texas Orthopedics' recently-opened Kyle office has a new physician on staff. We are pleased to announce the addition of board-certified orthopedic surgeon, Dr. Benjamin McArthur. He joins Dr. J.P. Rodriguez, Dr. Ryan Tibbetts, Dr. David Laverty, and Dr. Joseph Martinez in our new Kyle location serving the needs of southern Austin's Hays County. Hays Count is currently the fastest growing county in Texas (U.S. Census Bureau). Dr. McArthur comes to us from Washington, D.C. He is fellowship trained in adult joint reconstruction, and specializes in complex hip and knee replacements, revisions of prior replacement surgeries, and hip preservation in young patients. Dr. McArthur is a frequent contributor to peer reviewed articles and medical journals, and presents regularly at national and international conferences. He holds degrees from both Rice University and Baylor College of Medicine. 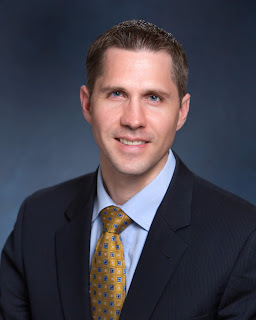 Dr. McArthur completed his orthopedic residency at the Hospital for Special Surgery in New York City, and also fulfilled a fellowship at the Mayo Clinic in adult lower extremity reconstruction. Texas Orthopedics' Kyle office now offers the following services: general orthopedics, fracture care, sports medicine, joint replacement, rheumatology, infusion therapy, physical therapy and onsite X-rays. To schedule an appointment with our new joint specialist, Dr. McArthur, please contact us here.